I meant to post this a while back but time just got away from me. 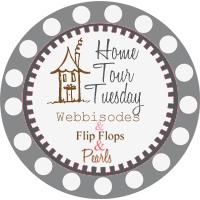 So now I guess it is a good time to link up with Flip Flop and Pearls for a little house tour. This house is making me a little crazy because it is so unorganized and I haven't been able to set the dining room table, not that we have used it, but there is just so much to do around here. I know it all takes time. 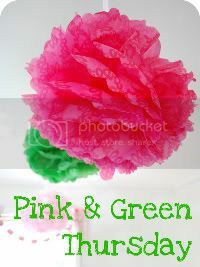 I did want to get some of the Easter stuff out though and attempt to decorate a little. Here is the boys Easter basket. Couldn't believe I found a monkey with bunny ears. My mom gave me this bunny one Easter. I love him. My sister asked me if these were the bad bunnies. I just think they are cute. I made this wreath one day. Just a couple of feather boas and a Styrofoam wreath with some chicks, eggs and glue. Nice to have something to dress up the door. Now I need to put the Easter stuff away and pull this house together and figure out where to put things and find some new ideas.